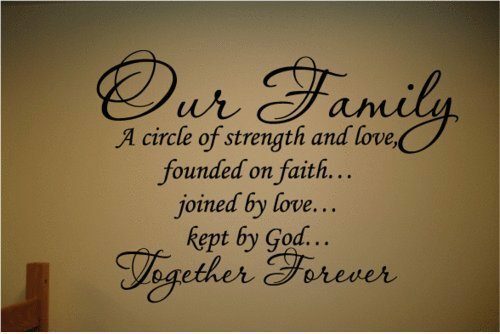 Our Family A Circle Of Strength And Love Wall Decal Only $2.63 + FREE Shipping! You are here: Home / Great Deals / Amazon Deals / Our Family A Circle Of Strength And Love Wall Decal Only $2.63 + FREE Shipping! Here’s a nice piece of decor for your homes! Grab this Our Family A Circle Of Strength And Love Wall Decal for just $2.63 + FREE shipping! This is a great piece to add to your living room or family room. I love how wall decals look AND how inexpensive they are!